What a great surprise when we opened the door and found a huge box. We didn't know what we got in the mail! When we opened it up the kids started jumping for joy! They knew we got the mommy party, and were so happy to be able to have some friends over and to enjoy building and socializing. Biggest "Blok" party in the neighborhood. The kids loved that they got their own special backpack full of Mega Bloks and not to mention their very own stickers to decorate them with. Mom and Dad are happy about the bag because it's a place to store them at clean up time. It also makes them portable. They can take them in the car or wherever they go. I know the age range is 1 and up, and that's a good thing because I don't think you're ever to old to play with these. Not only does my 8 yr old son love them, but so do his dad and I. We might have had a little too much fun. We played for a couple hours with our kids. 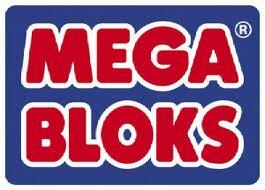 All the children had fun with their new Mega Bloks. 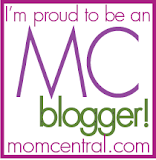 All the moms received a coupon for $3 off their own purchase. This works out since it's so close to Christmas. They can save some money while building their child's Mega Blok collection ;). 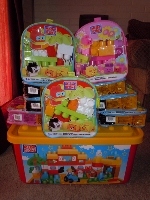 A BIG thank you to MomSelect and Mega Bloks for this great opportunity to bless some friends and their children!